A: Do not install the item immediately after received. Please try to check the item function by just plug the flex connector to your phone firstly. Please make sure to test it first. Determining quality is fine, work properly, no scratches no finger print or others and then installed. Once after installed, would no longer accept returns. Thank you for your cooperation! B: The flex cable is very sensitive and is easily damaged. Handle carefully. C: The installation of any new part should be done by a qualified person. VEKIR is not responsible for any damage caused during installation. Need Others Tools Besides the Device Opening Tools. 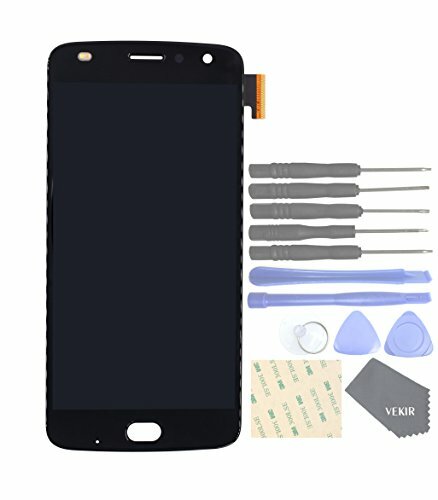 Touch LCD Digitizer Screen: Fix Not Respond or Respond Wrong to Touch and Display Problem also Fix Broken Outer Glass , Please Notice this Screen is not include Frame. If you have any questions about this product by VEKIR, contact us by completing and submitting the form below. If you are looking for a specif part number, please include it with your message.